Saturday, July 14 at 3 pm and 7 pm. 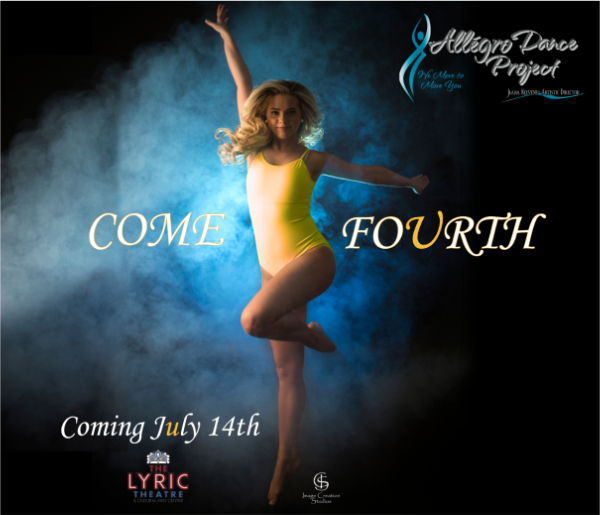 the Allegro Dance Project is back with a brand new innovative production featuring contemporary dance, live original music and an exciting variety of aerial and circus arts! This performance event will also include a silent auction in the theatre lobby to support Allegro's Inclusive Dance Outreach Program, providing dance training and performance opportunities for children with Down Syndrome, Autism Spectrum Disorder and other specific needs in the Lexington area.